The UNESCO Chair in Reorienting Education towards Sustainability at York University in Toronto Canada, works both singularly and in association with various other entities to address education in the context of Education for Sustainable Development (ESD). 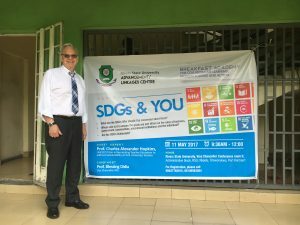 Collaboration with its associated International Network of Teacher Education Institutions (INTEI) and the #IndigenousESD network dedicated primarily to achieving the targets of the Global Education 2030 Agenda (SDG 4) within the 2030 Agenda are two examples of international partner initiatives. The INTEI, launched by the Chair in 2000, spans approximately 70 countries. With the launch of the Sustainable Development Goals, the network members focus primarily on reorienting teacher education institutions to implement SDG targets 4.7 and 4.10. In 2017, a new network of research institutions “#IndigenousESD” was launched by the Chair in 40 countries to address SDG targets 4.5 and 4.7. The focus of this network is researching both “if” and “how” ESD practice can improve the education and training of Indigenous Peoples around the world. The title of a UNESCO Chair within the UNITWIN/UNESCO Chairs Programme is the recognition for a passion to advance research, training and program development in higher education within the UNESCO mandate. 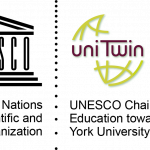 All UNESCO Chairs and UNITWIN Cooperation Programmes serve the Transforming our world: The 2030 Agenda for Sustainable Development and pursue international collaborations and information-sharing among universities around the world. Approximately 700 UNESCO Chairs and more than 100 UNITWIN Cooperation Programmes around the world work every day to serve the great vision of UNESCO that states in its constitution "since wars begin in the minds of men, it is in the minds of men that the defences of peace must be constructed".